Happy days and Weekend fun! We never know what we are going to find when we are out for a run.We were on a training run the other day battling the poor slushy footing and unplowed roads. The shoulders of the road hadn’t been plowed so we turned down a “dead end” road just to get away from some traffic. On this particular road if you look around you would think you were up north, the brush comes right to the edge of the road and there are only a couple of houses. Oh yea and there is Frosty, waiting for us at the Dead End sign, hiding behind the piles of snow left by the plow. Too funny, he was the last thing we expected to see. The rest of our run didn’t seem so bad after running into him! It’s never dull at a dead end! In the afternoon, we donned our Running Free hoodies and headed over to the Canadian Cancer Society’s Relay for Life Reunion at Pickering College in Newmarket. We set up a display of shoes and talk to the participants about proper foot wear. The Relay for Life is one of the cancer society’s major fundraisers. In Newmarket the event will be held on Friday, June 19 at Pickering College. It is an evening event with lots of entertainment, food and an opportunity to walk or run 5, 10, 15, 21k to support cancer research. The event this past Saturday was an opportunity to past participants to sign up for this year’s event. Of course there is a Blister Sister team and anyone can join us! 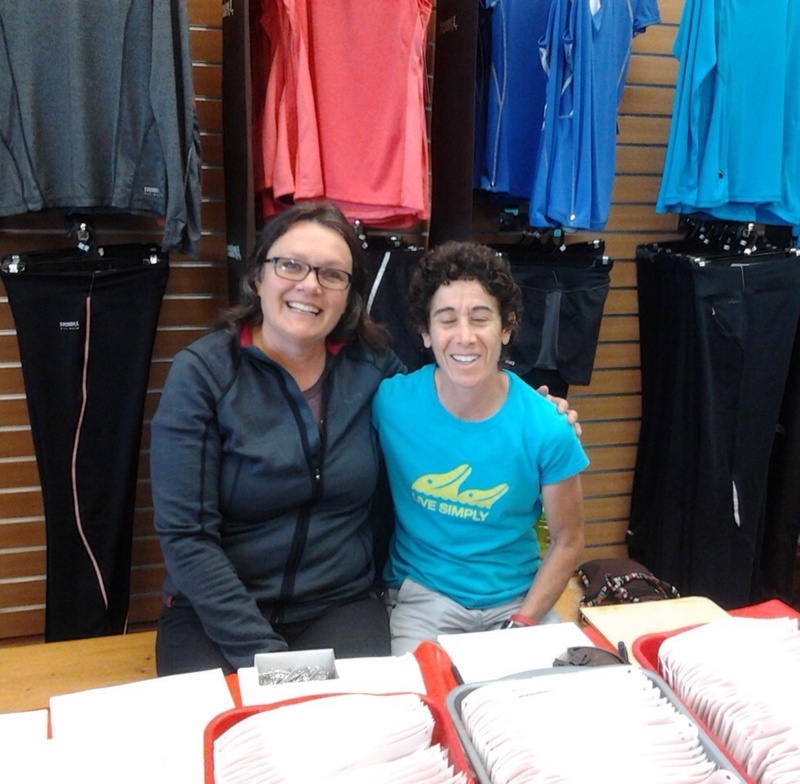 ­I had the great opportunity to volunteer at the race bag pick up for the Rebecca Run today. The Rebecca Run is very close to both Glenis and I. We have been involved with the event since Louise Smith had an idea of a race to raise funds to help find a cure for Spinal Muscular Atrophy 13 years ago. I remember planning with her as we trained for the Chicago Marathon. We wanted it to be the best little race around – and it is! Louise has firsthand experience with SMA, her niece was diagnosed with this disease. This diagnosed sent Louise on a mission to find a cure. Since the race started it had raised over 2.2 million dollars for Families of SMA. She has been a source of inspiration to us and to all the families dealing with SMA. 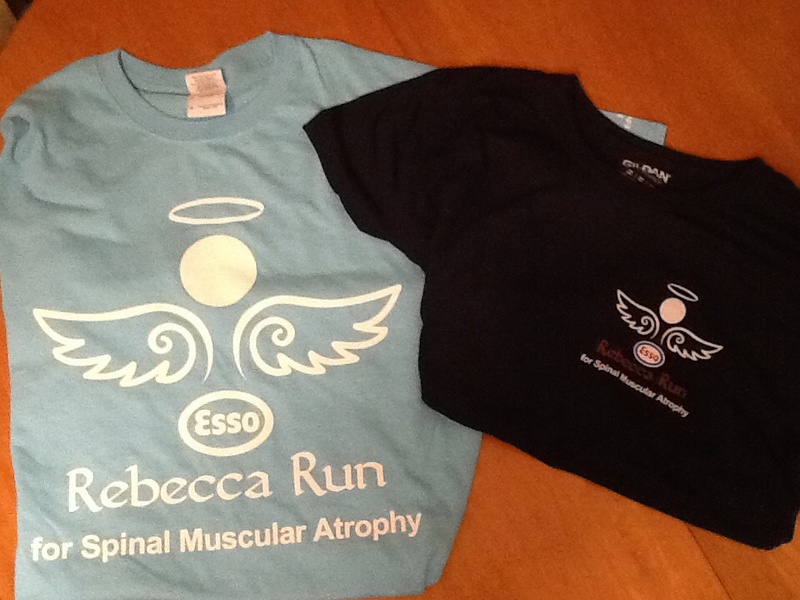 The Rebecca Run is on July 5, 2014 at Fairy Lake in Newmarket, Ontario. There is still time to register and there is always time to donate. You’ll see us in the light blue shirt volunteering at the finish line and the dark blue tech shirt on the runners. Nice shirts! We hope we see you at the finish line. We had this wild idea to train for something this past winter. 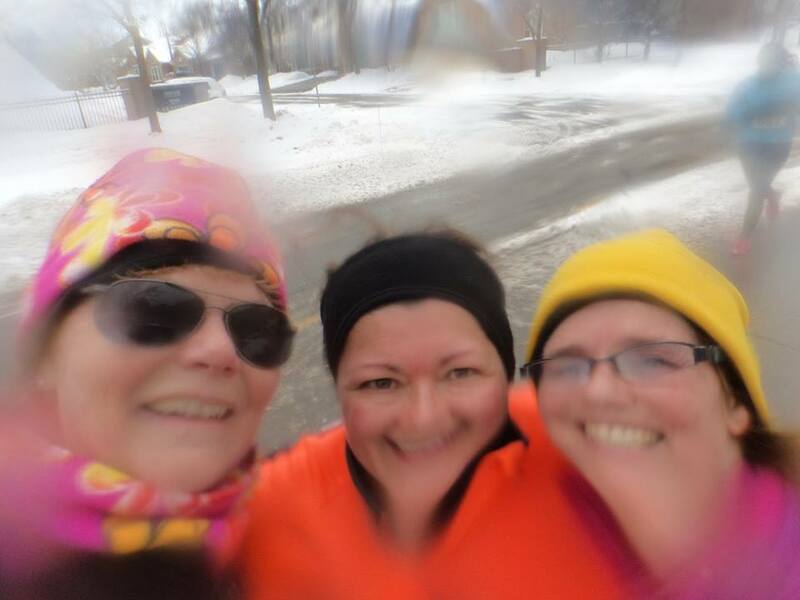 In a moment of “we have to had a goal” planning we chose to train for the Chilly Half Marathon in Burlington Ontario. 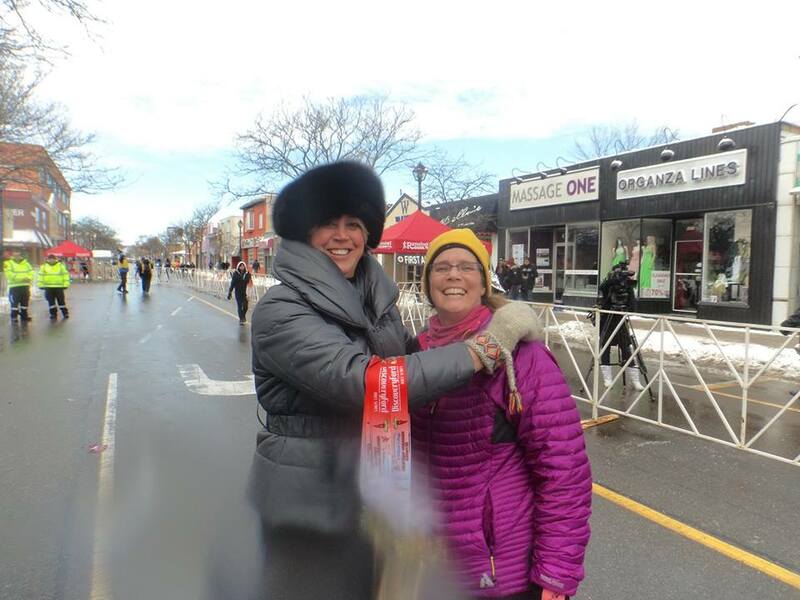 The Chilly Half is a 21.1k road race along the Lakeshore, a four lane main road in Burlington Ontario. We thought this would be a good race to train for because it was early in the season and you got a great jacket just for registering. By training for this run, we were going to be ahead in our training for all the events we have planned for in 2014. That was our goal. Throughout the worst winter for cold and snow in more than 10 years we pushed through our training, and forgetting that we hadn’t run a “road’ race in over 10 years, we kept saying to each other “it’s only a half”. Race day came along with 5 cm of fresh snow, slush and negative temperatures. The only thing we could be thankful for was that the wind chill was only about 10 degrees colder that the minus 15C temperature at start time. We’re not sure but we think the sun came out for a bit, we couldn’t really tell because our glasses frosted over! 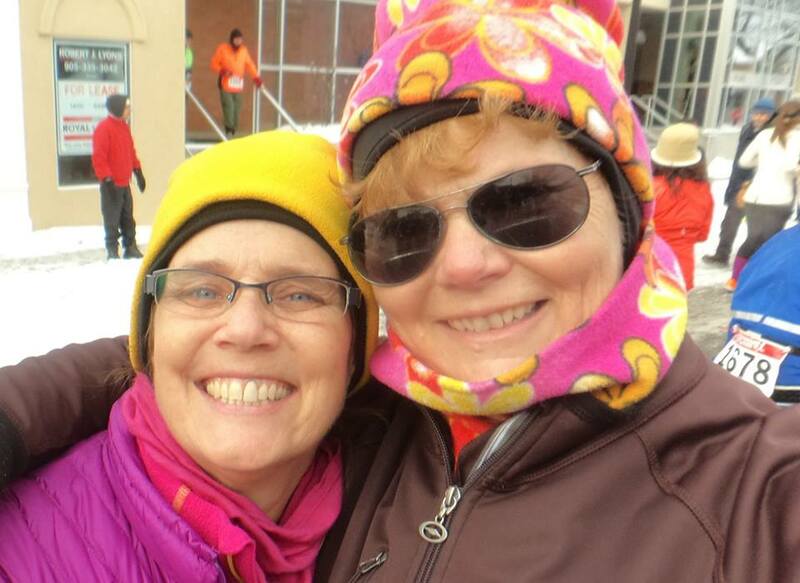 Selfie at the start line at Chilly Half Marathon March 2nd 2014, all smiles! Huddled in the crowd at the start line, brought back so many memories of our days of road racing, we giggled and jiggled to keep warm. Then we were off, freezing. Shivering in the start line with 3000 other runners! Cold cold cold! 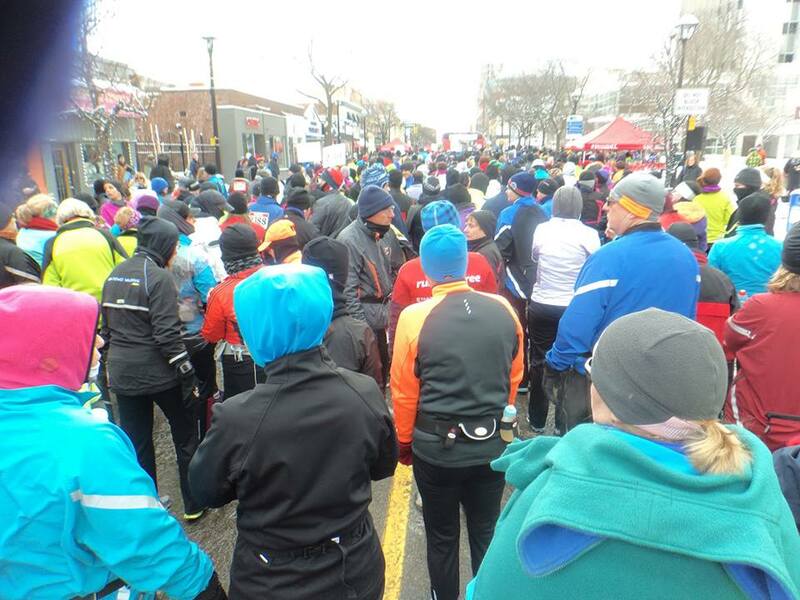 Slogging through the slush and the crowd, expectations started to diminish and 21k became a little daunting. The best part of the race was that the course was an out and back so we got to see the young winners gliding along with their effortless strides and keen concentration and we got to see all the people, like us, at the back, the ones who planned and trained and who have awesome goals that might not include winning. The volunteers were plenty, since lots of streets have to be controlled. Angry motorists were at every corner waiting impatiently for the race to be over. That brought back memories of past marathons through Burlington. We shuffled along over the ice and through the slush to the turnaround pylon only to be greeted by a head wind on the way back. We were very happy to shuffle uphill to the finish. It was so cold my camera froze! Hi Ramona, so good to see you again! Despite the inclement weather and the fact the race was on the road and not a beautiful snow covered trail in the woods we did have a great time. 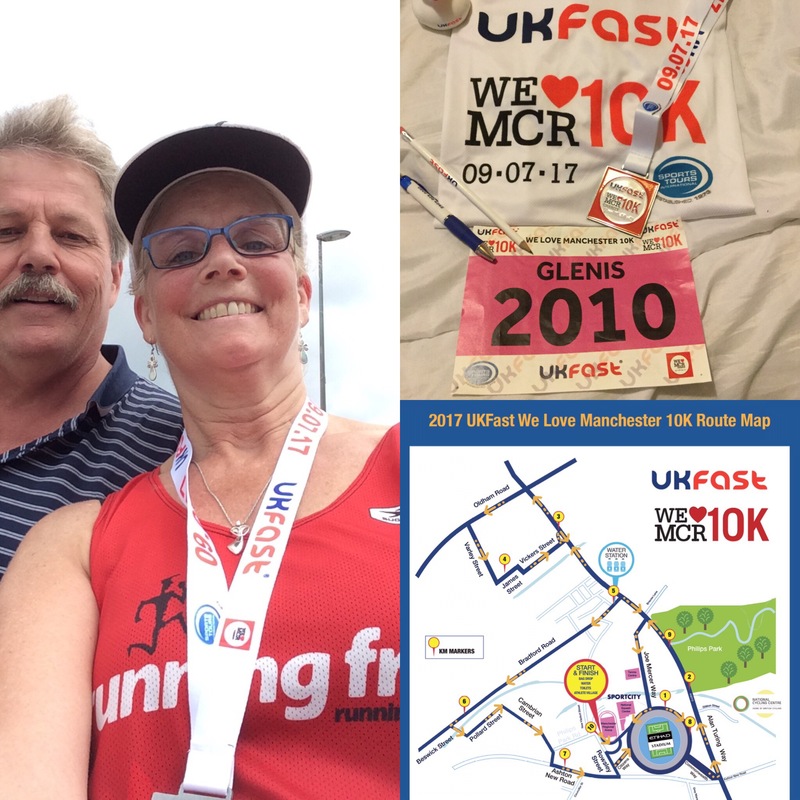 We met with our Team Running Free friends, hugged old friends along the course that we haven’t seen for years and we laughed a lot! We achieved our goal! On to our next adventure!